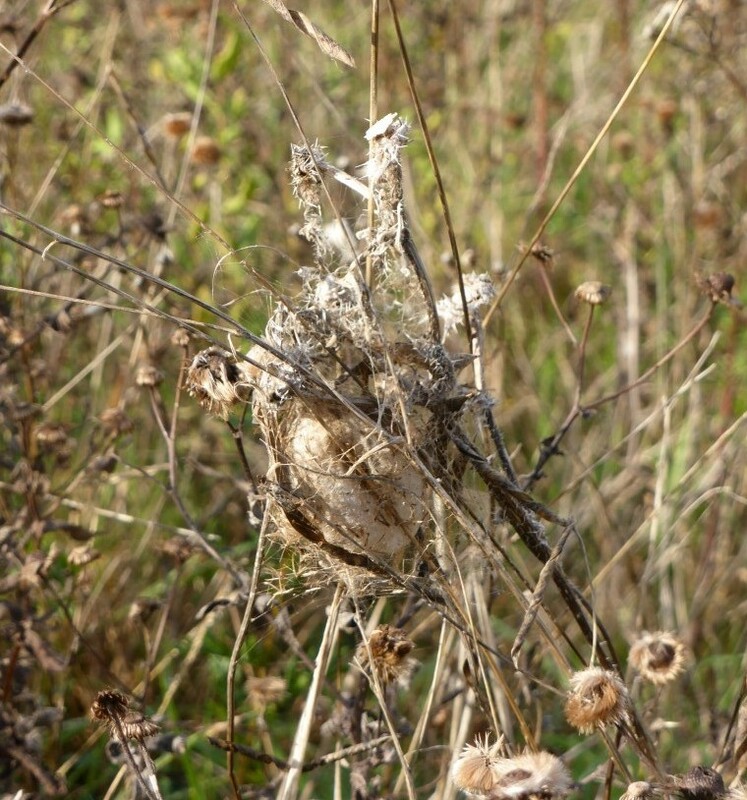 By now (late October) the spiders are gone, but their egg sacs remain in the grass. Where I can find them, I’ll leave them uncut so the spiders can recolonise next year. Here’s one I found today. 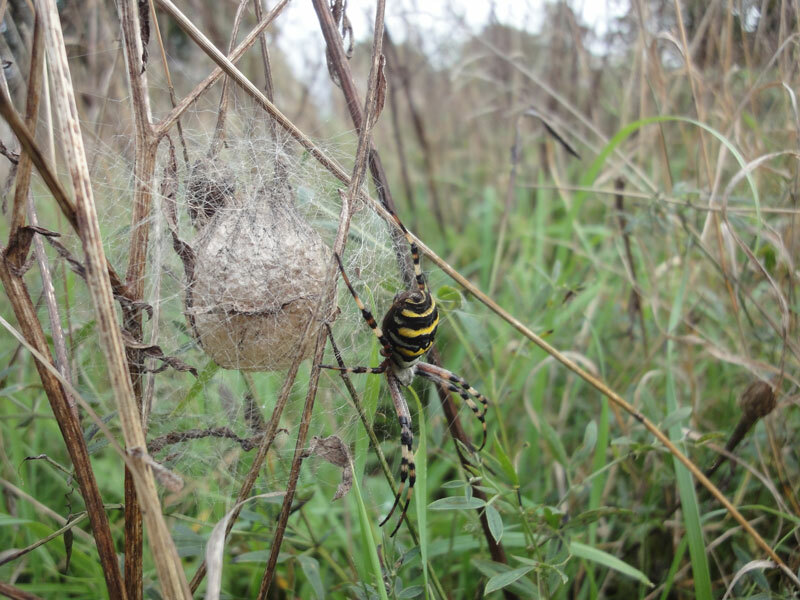 The pale, papery eggsac is about the size of a small hen’s-egg, usually in long grass about 30cm off the ground. Some sacs are decorated with grass and leaves -some are left quite bare. This one is fairly well camouflaged. This is one I found in 2010, not far from the place I was today. It was a bit earlier in the year and I also found the mother spider standing guard!